Who this is geared towards—everybody! Dogs of all ages and experience levels can benefit from this type of training and learning to focus around distractions. Does your dog lose attention on you when she/he sees other dogs? People? Kids? Moving objects: balls, bikes, skateboards, small animals, other dogs doing agility? How about in the presence of delicious and great smelling food on a table above their heads, a chair at nose level, food on the ground right in front of them? Simply trying to avoid these types of situations does not teach your dog what you expect from them in the presence of temptation. 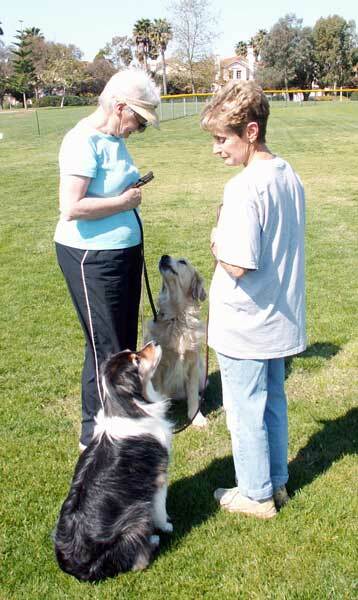 Training is the way to help your dog learn what the right answer is, and you learn to become the reward for your dog. Remember, you need your dog’s attention in order to teach him anything! We will do fun exercises and games that encourage your dog to pay attention to you, despite what is going on around him/her. This will be an Introductory class and we will help you teach your dog skills such as attention and focus on you around distractions such as other dogs, tempting food, and exciting situations. This is a great place to start if you are interested in dog sport classes in the future such as Agility or Rally Obedience, but also to train skills in your dog that you can use throughout his/her lifetime. You will need to bring with you: leash and a collar (or a front-clip harness or Gentle Leader is fine as well), really delicious awesome meaty treats for your dogs (leave the Charlee Bears at home), water and a bowl, and a crate or pen for your dog, a chair for yourself, and a clicker. Zip stays focused on his owner and ignores two open bags of yummy treats, an entire roasted chicken, and a bowl full of turkey meatballs! Open to dogs that have completed a Fun with Focus 1 class session. We will build on the training and skills learned in Focus 1. 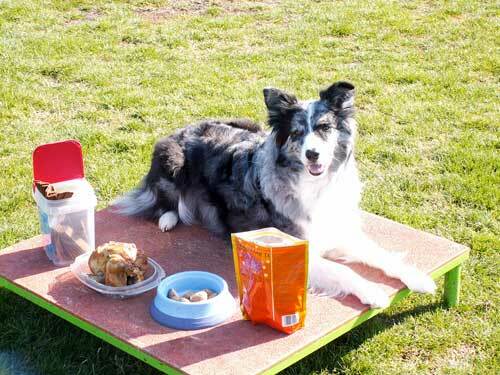 These will include teaching your dogs to pay attention to you during distractions including moving dogs and objects, toys, and very tempting treats. We will do moving and stationary skill drills to encourage focus and obedience, and to recreate distracting environments while teaching you and your dog to work as a team. If possible, we will meet in a couple of different locations during this session to develop generalization of focus skills. For teams that are ready and feel confident, we will do some off-leash work too. We’ll have some fun, encounter new challenges, and you will be happy with the skills that you have trained in your dogs! Bring with you: high value and lower level treats, water for your dog, flat buckle/snap collar or harness and leash, clicker, touch-stick, nose target plate, ex-pen or crate, chair and water for yourself, your sense of humor!